The London Academy of Gymnastics and Dance teach high quality, active and fun Dance and Gymnastics classes to all ages and levels of student from enthusiastic beginners to future Olympians. Netguides built the new website which offers live availability and online booking in conjunction with a Gema management system. 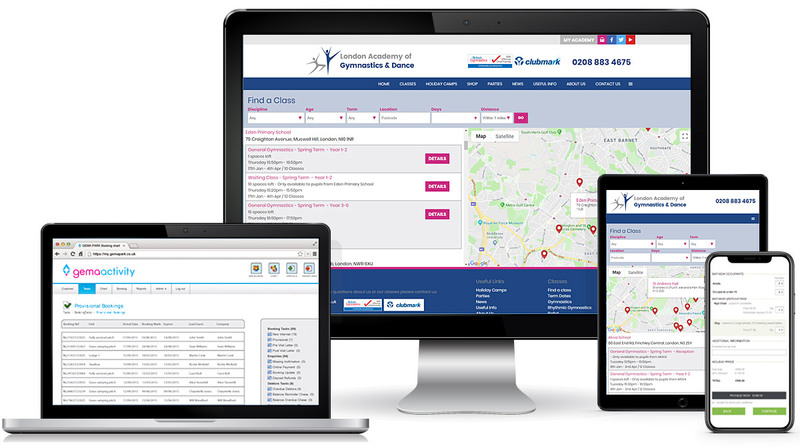 The Gema system helps manage the data for classes, coaches and customers, providing class registers, coach rotas and management reports.